The telecom sector in Pakistan has seen an intense competition in Pakistan and the competition seems to continue. This competitive environment has ultimately led to telecom brands to further compete for the users’ attention. New campaigns and ideas are launched frequently to keep the users on their toes and win hearts on social media. 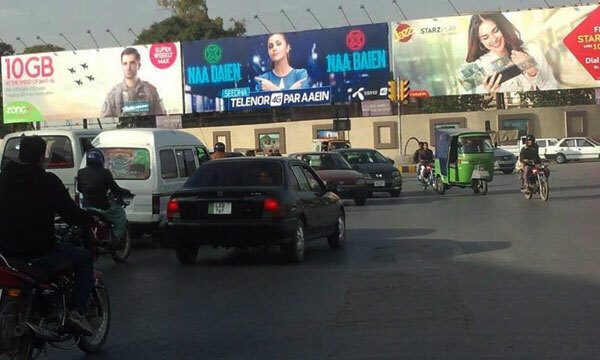 Telenor has managed to outshine its rivals and has come up with a marketing stunt which is out-of-the box and brilliant! The brand has put their best foot forward through bill board advertising. Located in Rawalpindi’s central junction, Telenor Pakistan outsmarted its competitors Jazz and Zong in the highly competitive race to become Pakistan’s most preferred 4G telecom brand. The bill board is exceptionally captivating despite being simple. What really captivated the audience was that the billboard was simple yet powerful. 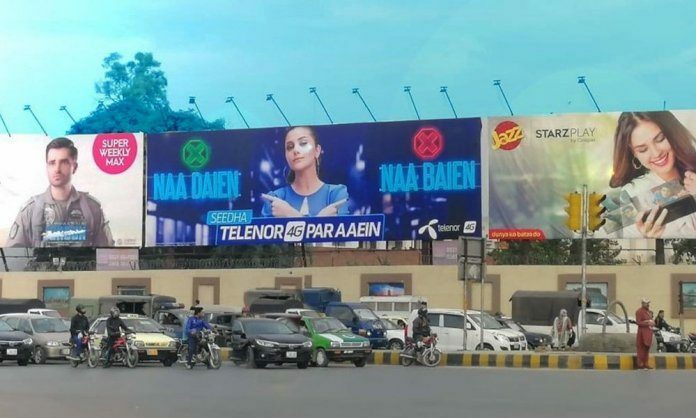 In plain Urdu, the stunner Sohai (face of OOH campaign) indicates, ‘Naa Daien, Naa Baaien’ (Neither right, nor left) just pick telenor for 4G services. The placement of the ad is perfect and serves as a source of humour as well. Good job by Telenor, we must say. Over time, many brands within the country have brought forward some of the most creative marketing ideas, from live-billboards to 3D-4D boards and even interactive ones to engage customers.